Plants are amazing: they provide food, air, medicine, and material for buildings, furniture, and art. 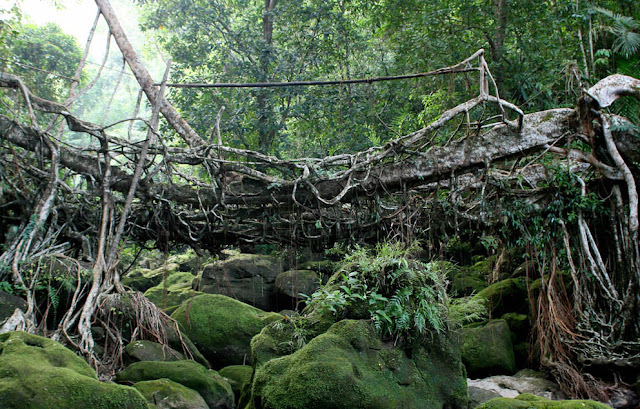 But through an ancient yet obscure craft, still-living plants can themselves be shaped into bridges, tables, ladders, chairs, sculptures - even buildings. 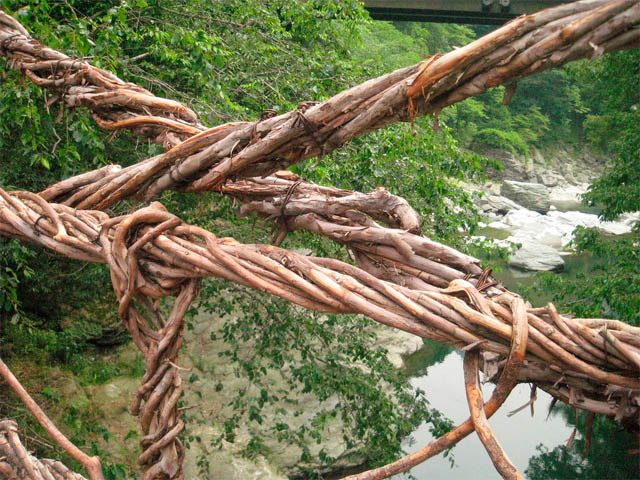 Known variously as botanical architecture, tree sculpture, tree-shaping, tree-grafting, pooktre, arborsculpture, and arbortecture, the craft is, essentially, construction with living plants. 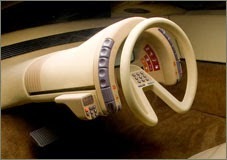 The concept seems to date back to prehistoric times. 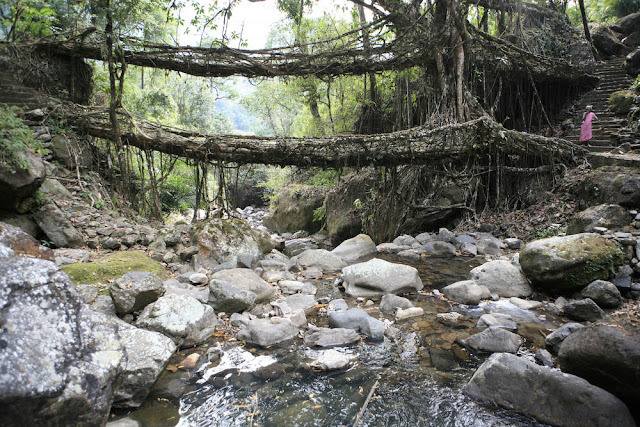 Perhaps the oldest examples are the living bridges of Cherrapunjee, India. 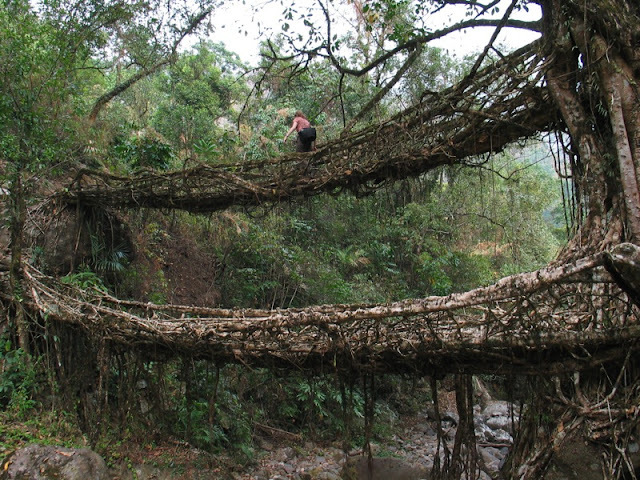 One of the most unique root structures of Cherrapunjee is known as the "Umshiang Double-Decker Root Bridge." 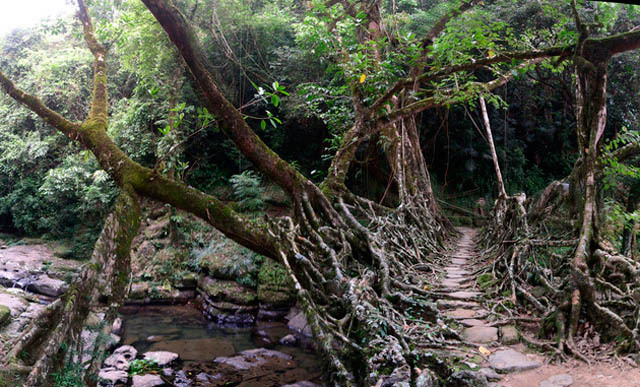 It consists of two bridges stacked one over the other! 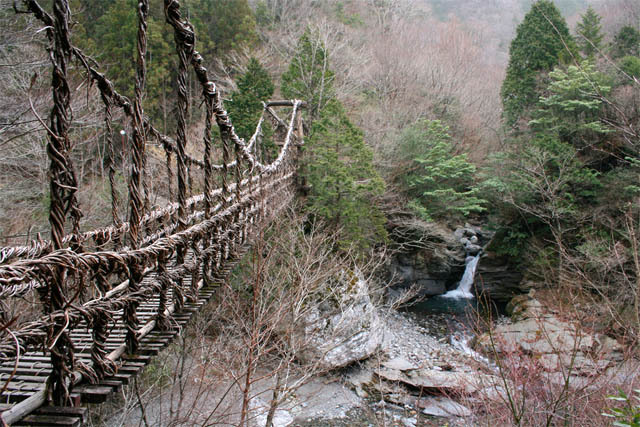 One of Japan's three "hidden" valleys, West Iya is home to the kind of misty gorges, clear rivers, and thatched roofs one imagines in the Japan of centuries ago. 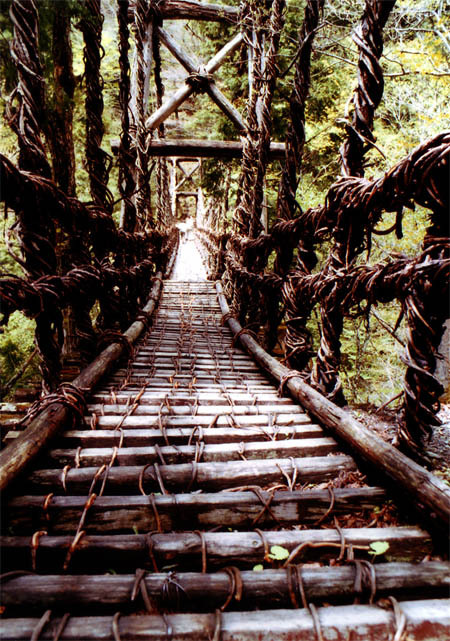 To get across the Iya River that runs through the rough valley terrain, bandits, warriors and refugees created a very special - if slightly unsteady - bridge made of vines. 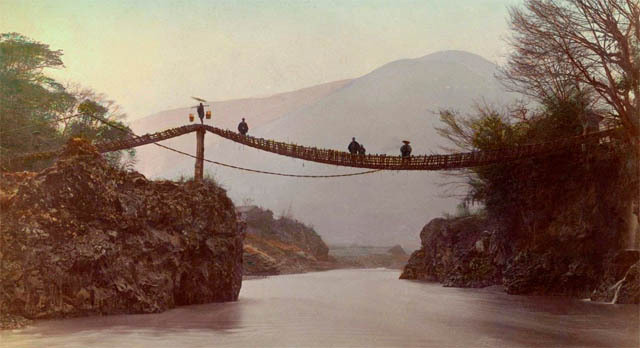 Three of those vine bridges remain in Iya Valley. 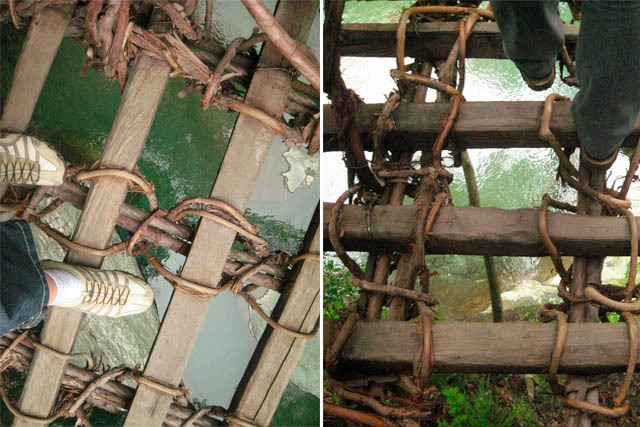 While some (though apparently not all) of the bridges have been reinforced with wire and side rails, they are still harrowing to cross. 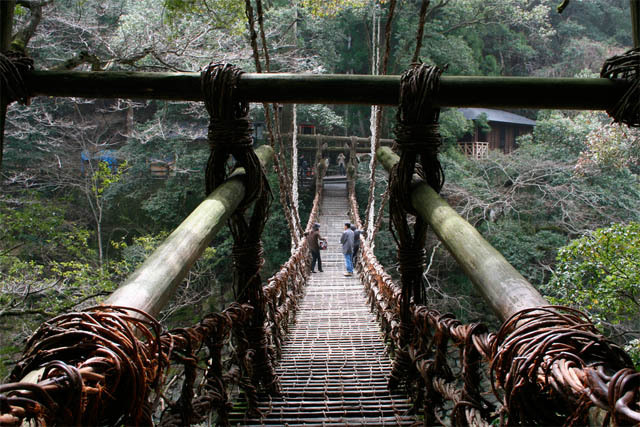 More than 140 feet long, with planks set six to eight inches apart and a drop of four-and-a-half stories down to the water, they are not for acrophobes. 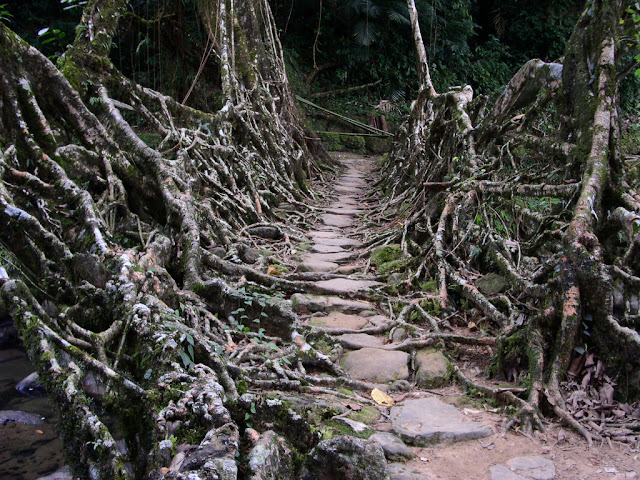 Some people believe the existing vine bridges were first grown in the 12th century, which would make them some of the oldest known examples of living architecture in the world. 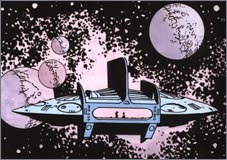 But there is one ancient group of peoples who took the concept to an entirely new level. 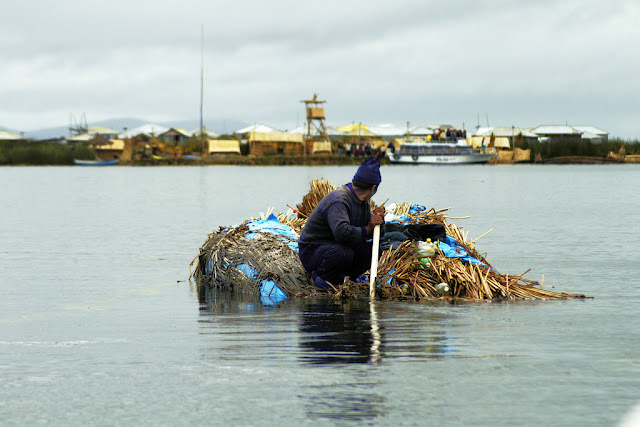 The Uros peoples' lives revolve around reeds. 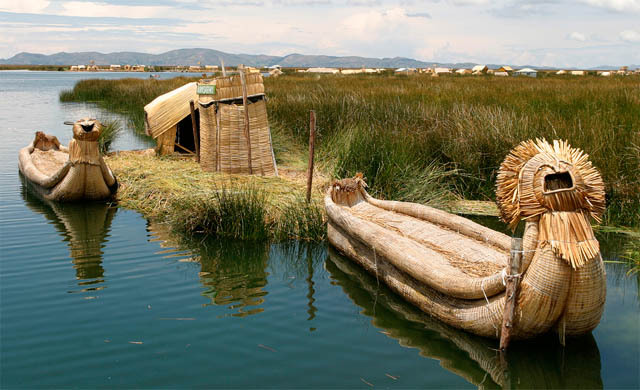 They make reed houses, reed boats, reed flower tea, and use reeds as medicine. 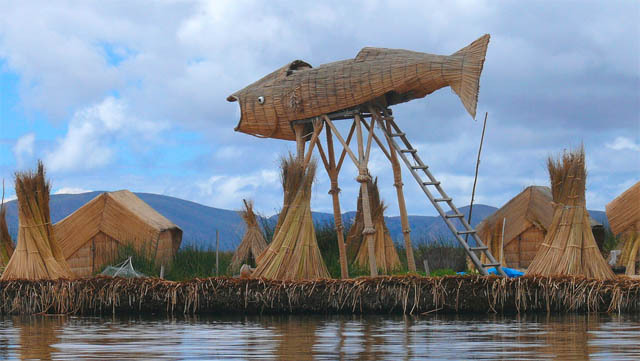 But most amazingly, the Uros build entire islands out of those very same reeds. It is the fact that these islands are alive that makes them work. The dense root structures of the living reed masses keeps the whole island together and floating on the lake. As reeds disintegrate from the bottom of the islands, which are four to eight feet thick, residents must add more to the surface. 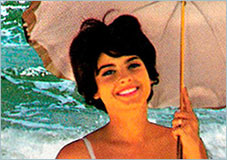 The entire island moves slightly with the water, similar to the feeling of laying on a waterbed. 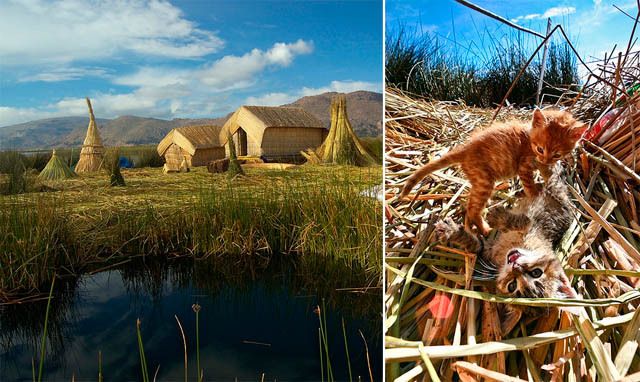 The Uros, however, have gotten quite used to it, as have the cats, fowl and other animals that live on these floating islands. 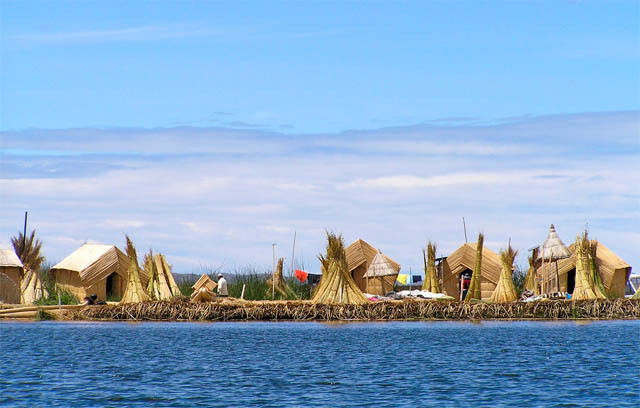 The Uros have been living on these floating islands since the 1500s when they were forced to take up residence on Lake Titicaca after the Incas expanded into their territory. 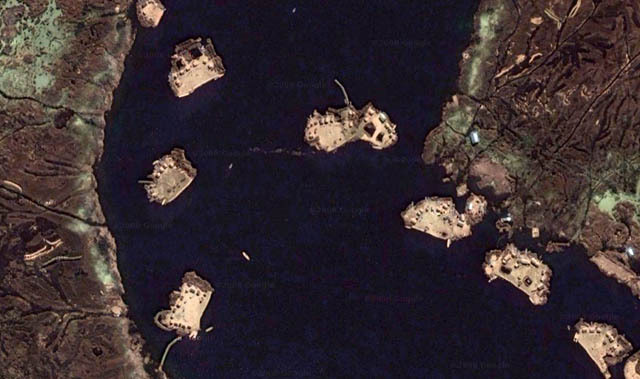 While many of the islands are moored to the lakebed, they can be moved if necessary. One of the main advantages to living on a floating island is that when the enemy comes too close, you can just float the other way. 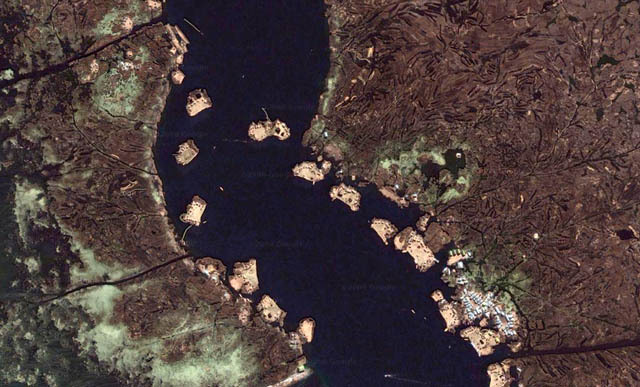 Even tiny outhouse islands have been created, in which the living roots help absorb the waste. 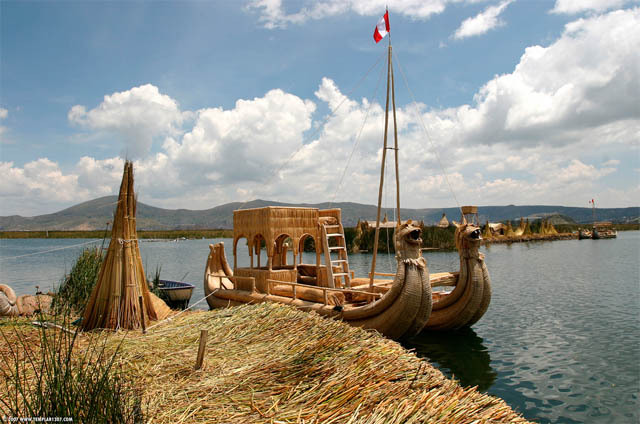 Today, in the shadow of the Andes, on the world’s highest navigable lake, hundreds of Uros (or descendants of the Uros, depending on how you define them) live on these floating islands and make their living from fishing and selling their reed handicrafts to tourists. 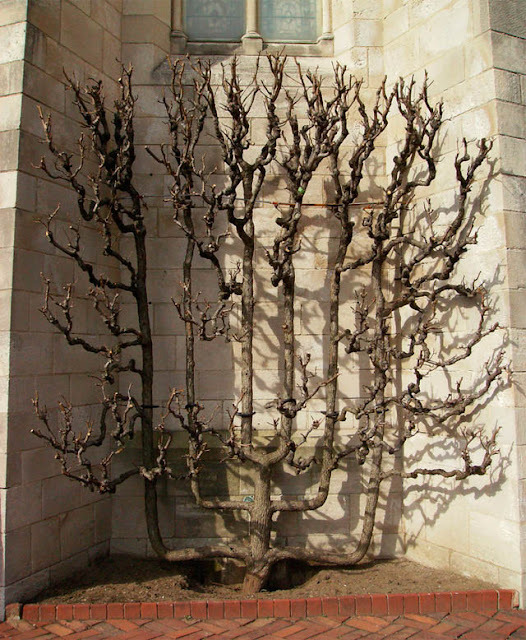 Another more common form of tree shaping is known as espalier - the process of creating three-dimensional forms out of trees. 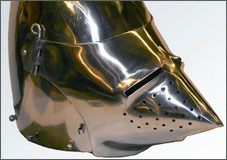 A popular practice in Medieval times, the craft likely dates back to ancient Egypt. 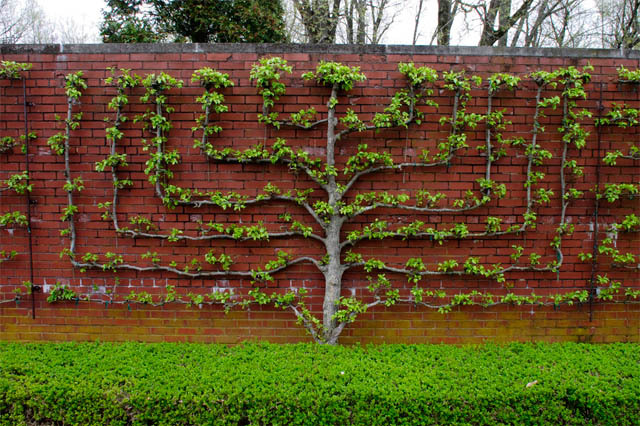 Espalier can be used to make ornamental trees, increase the yield of a fruit tree, or build a sturdy fence or wall from growing trees. 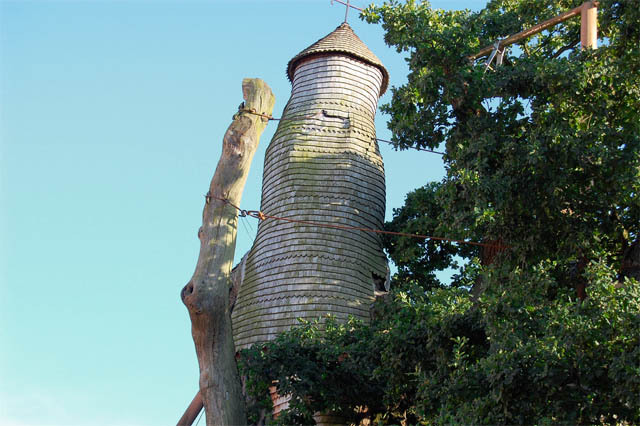 Like something out of a fairy tale (or Keebler Elves commercial) the hollowed trunk of this ancient oak tree is home to two small chapels, reached by a spiral staircase winding up the trunk. 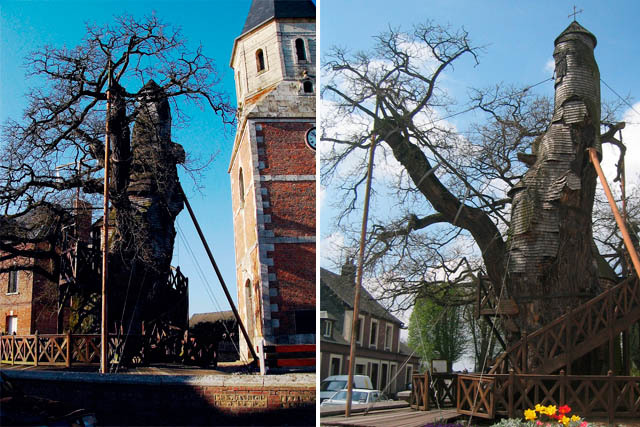 In the early 1660s, a 470-year-old oak tree in Allouville-Bellefosse, France, was struck and hollowed by a lighting strike. 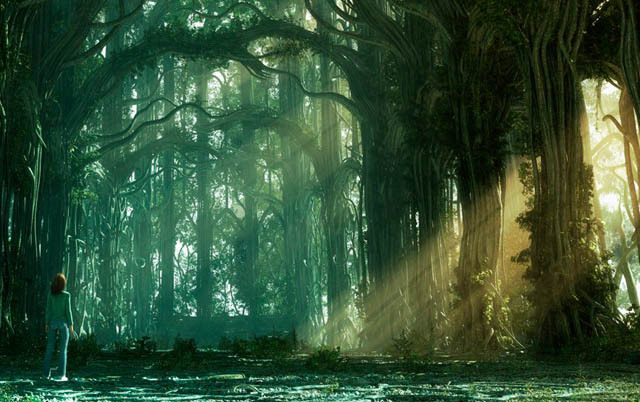 Not only did the tree survive this attack, but it came to the attention of Abbot Du Détroit and Father Du Cerceau. In 1669 they began building a shrine to the Virgin Mary directly inside the tree itself. Later, a staircase climbing the outside of the tree was built and another chapel was added on a "second floor" of the tree. Things almost took a very bad turn for the tree during the French Revolution when a mob stormed the tree and threatened to burn down this symbol of the abhorred Church. 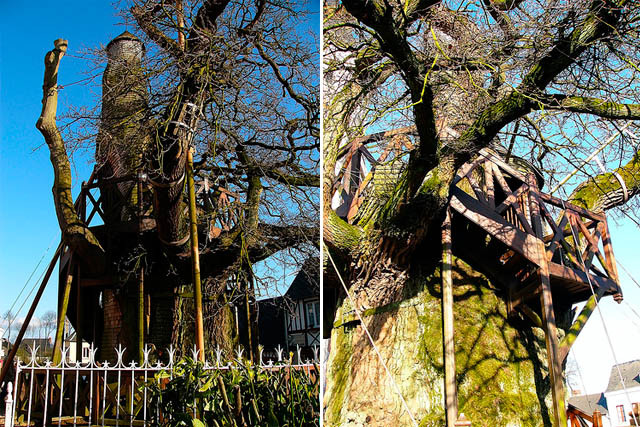 A quick-thinking local renamed the oak the "Temple of Reason," sparing it a fiery fate. 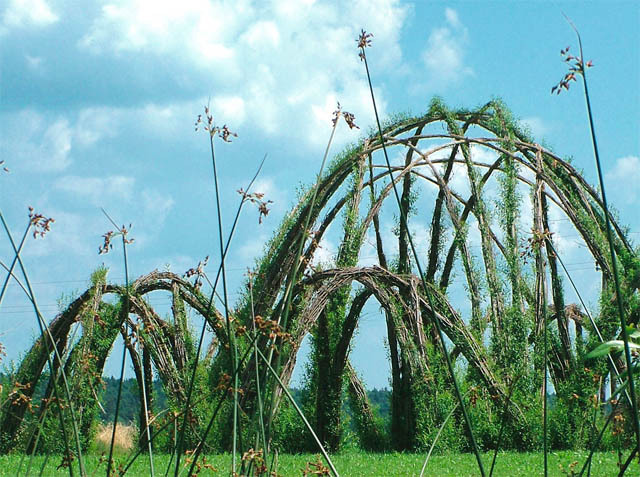 Here we enter what could be called the modern period of botanical architecture. It begins in Wisconsin, with a banker named John Krubsack. 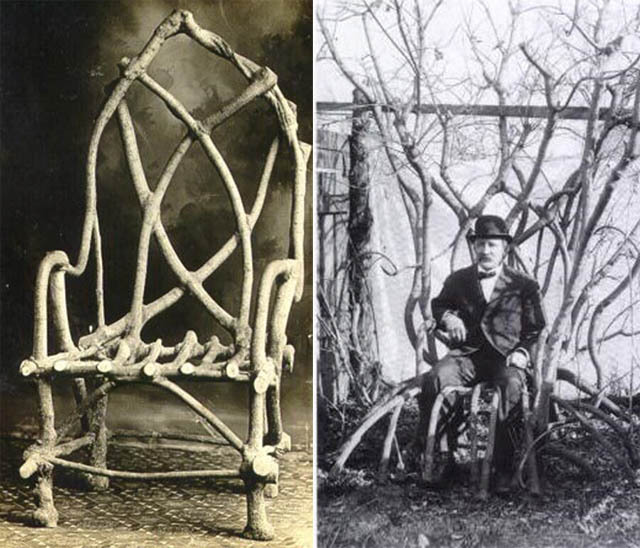 One day in 1903, a friend of Krubsack’s openly admired a beechwood chair he had crafted. A man who perhaps didn't know how to take a compliment, Krubsack announced, "Dammit, one of these days I am going to grow a piece of furniture that will be better and stronger than any human hands can build." 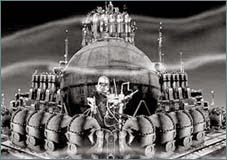 Fifteen years later, he had done just that, with every joint in his chair "cemented by nature". 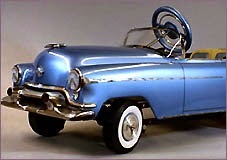 Though many handsome offers were made for the famous chair, Krubsack refused to sell, eventually leaving it to his nephew to be displayed in his furniture store. 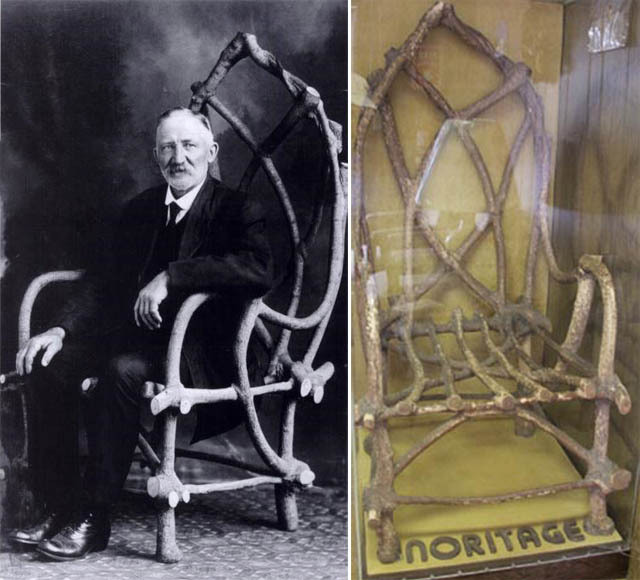 The "Chair That Grew" was last seen at the entrance of Noritage Furniture, owned by Krubsack’s descendants. The store recently closed and the fate of the chair is unknown, but it likely still resides somewhere in the tiny town of Embarrass, WI, not far from where it grew nearly 100 years ago. 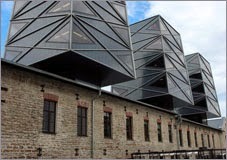 Where Krubsack was a pioneer, Axel Erlandson was a visionary -- though he didn't know it at the time. Axel Erlandson never intended to create a new genre of sculpture or become the father of an art movement. He just wanted to entertain his family. 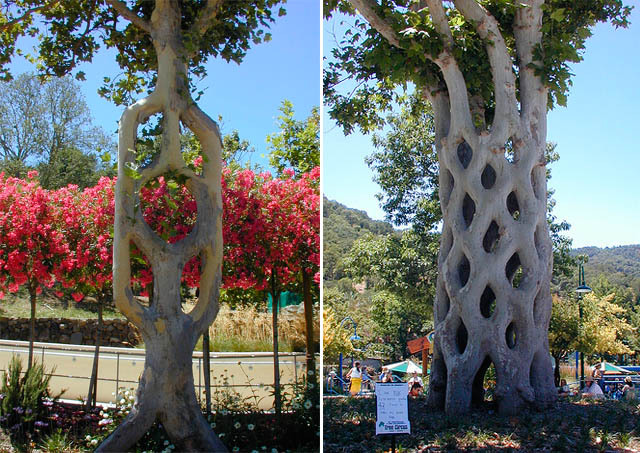 A farmer in California, Erlandson had noticed the curious ability of trees to naturally graft themselves together. So, in 1925 Erlandson began planning a series of trees that were deliberately grafted together for artistic effect. His first creation was the "Four Legged Giant," four trees which he merged into a single truck, creating a kind of tree-gazebo. 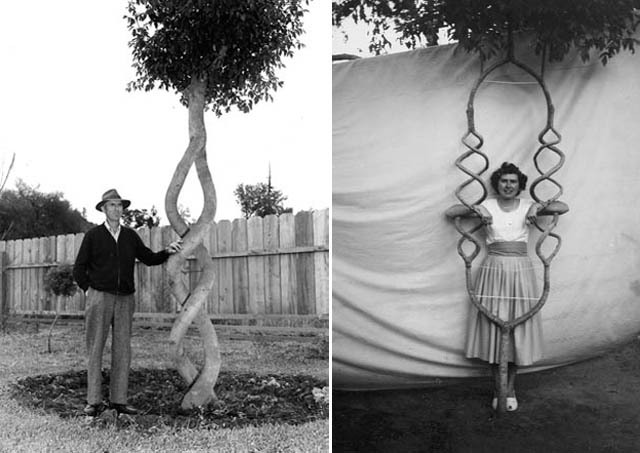 In 1945, twenty years after Erlandson had begun his hobby, his daughter suggested to her father that he might open some kind of "Tree Circus" to showcase his unusual arbor creations. Erlandson did just that, creating over 70 unique items in his Tree Circus. 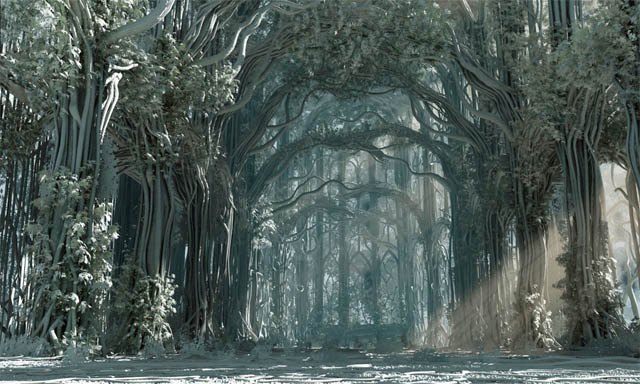 Among his creations were a tree that split into a cube, an arch tree and a six-tree woven basket. The Tree Circus was a not much of a financial success, and in 1963 Erlandson sold the property, trees and all, and died shortly thereafter. 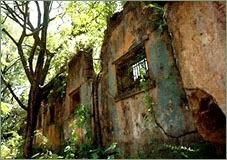 It wasn't long before all 70 trees were forgotten and by 1977 only forty of the unique specimens remained. 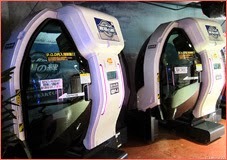 These were all scheduled to be bulldozed to create a mall. 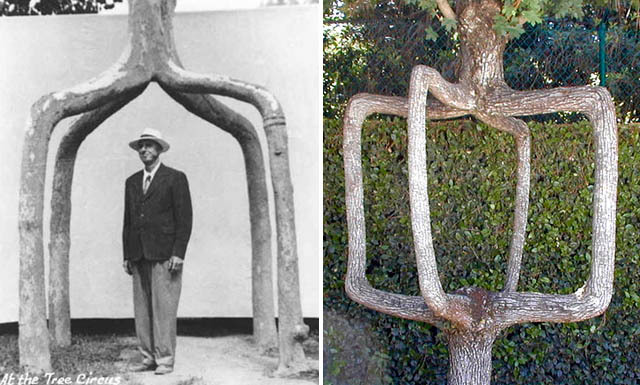 Today, 25 of Axel Erlandson's tree-shaping creations are on display at Gilroy Gardens, and his first creation, the Four Legged Giant remains alive and well some 80 years after Erlandson’s idea first took root. Many of these marvels are the works of one dedicated person, but the mysterious Auerworld Palace took some 300 volunteers to create. 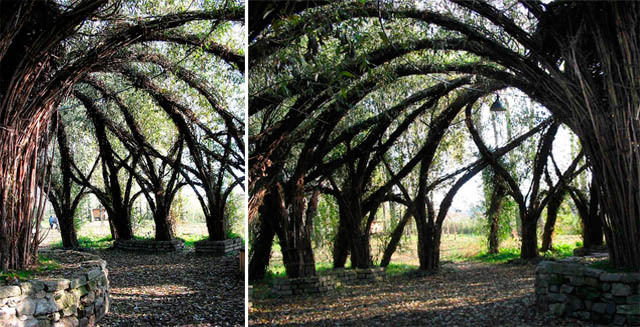 Architect Marcel Kalberer and his group, Sanfte Strukturen, are re-envisioning the way living building materials and techniques can be used to design modern spaces - with willows. 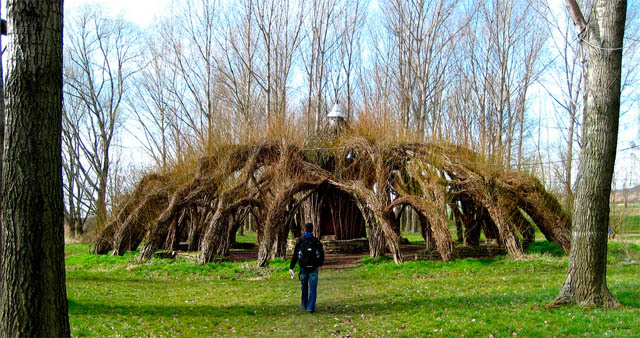 Constructed in 1998, the Auerworld Palace in Aeurstedt, Germany may be the first modern "willow palace," but the techniques Kalberer uses are ancient. 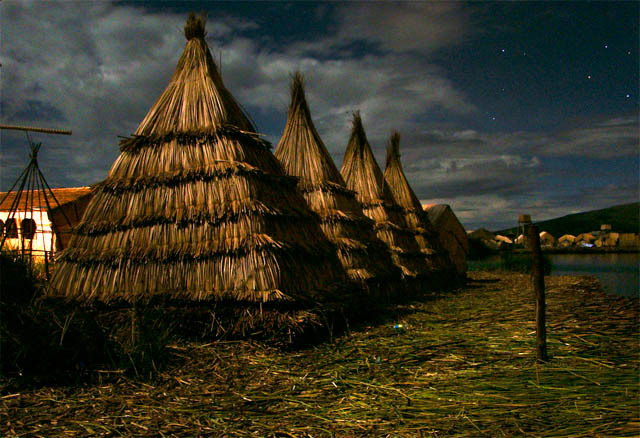 Sumerian reed houses were famous for their construction of tightly bound reeds. 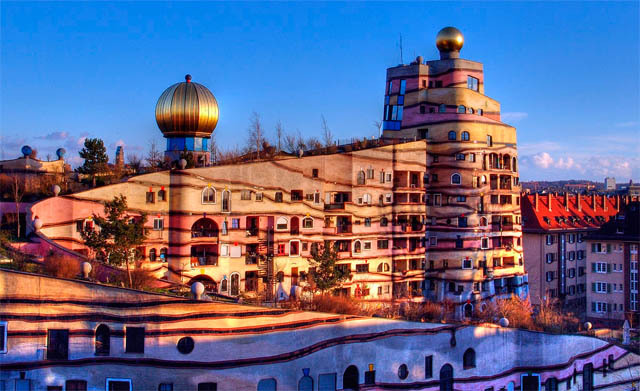 But where Kalberer and his team create buildings out of trees, Austrian artist and architect Friedensreich Hundertwasser has created a building inspired by, and incorporating, trees. Hundertwasser wasn’t much fond of straight lines, dubbing them "the devil's tools." 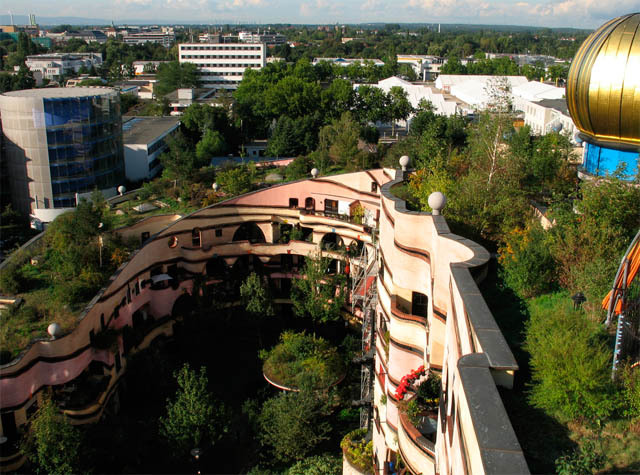 In fact, his famous apartment building, Waldspirale, does away with them entirely and is instead a celebration of nature’s sinuous loops and arcs. Located in Darmstadt, Germany, Waldspirale translates to "wooded spiral," and that is exactly what it is. 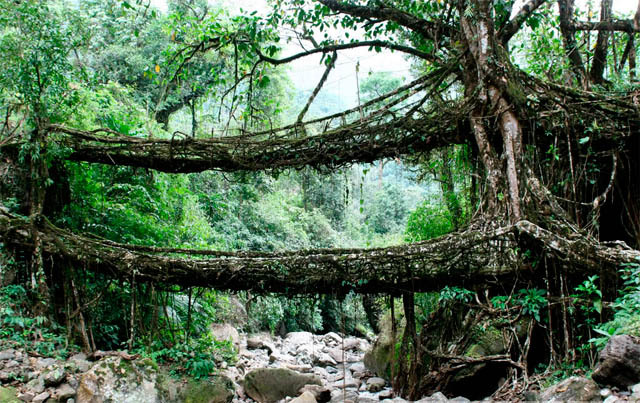 It hosts as many trees as human occupants. 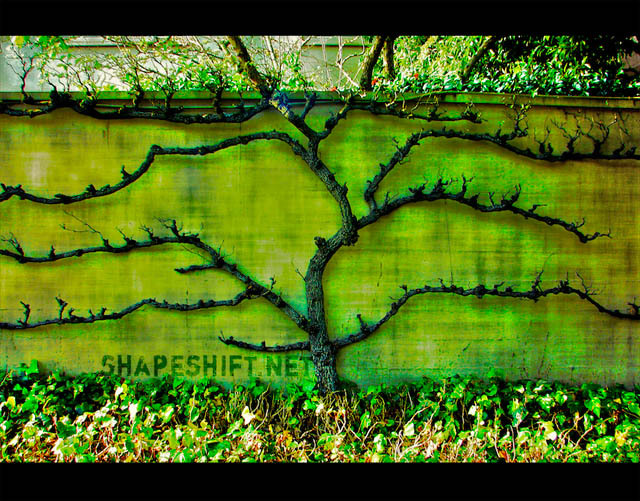 Today a growing number of tree grafters, arborsculptors and botanical architects are working to create new organic forms. 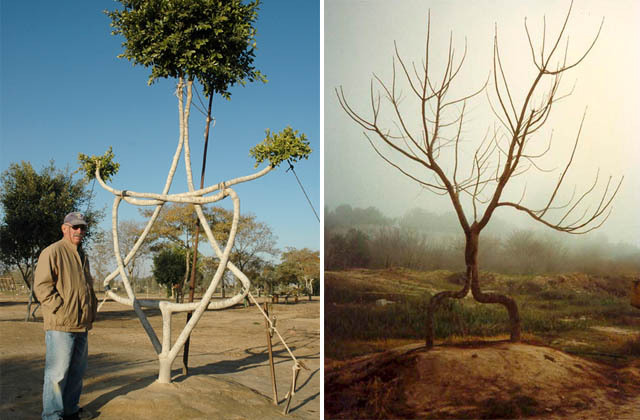 Among them is Richard Reames who coined the terms arborsculpture and arbortecture (he also has a book on the subject, order it here). 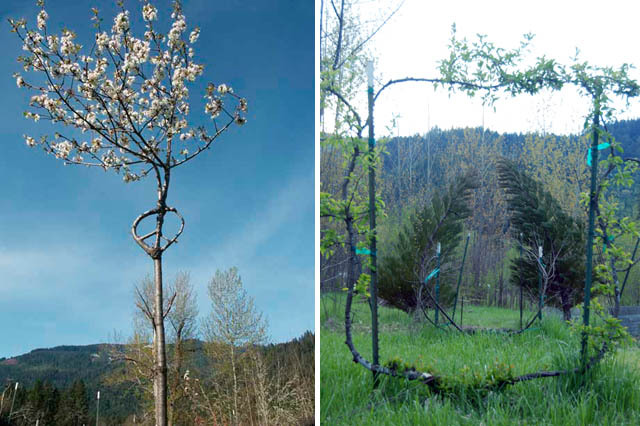 Richard grows and shapes tree trunks using the ancient arts of grafting, framing, bending and pruning. 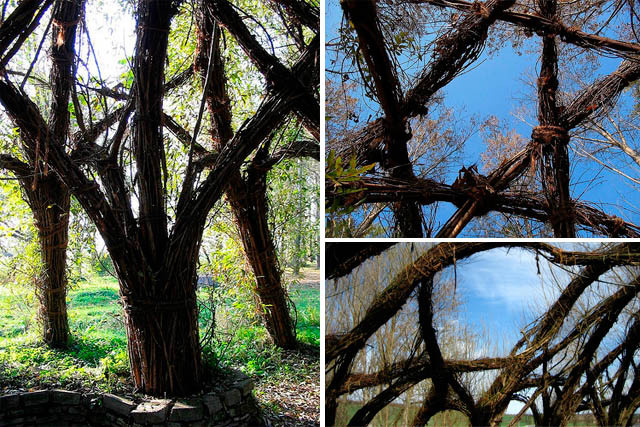 He believes that his living arborsculptures could one day replace many of the things that trees are typically killed to make. Another absolutely wonderful tree grafter who has been working since before the form even had a name is Dan Ladd. 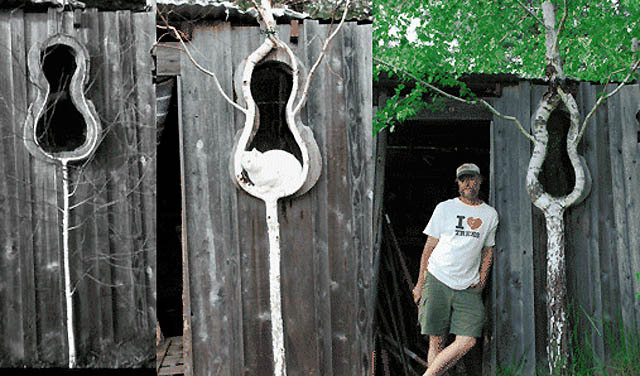 Ladd crafts trees into whimsical shapes, and incorporates other objects into the trees. 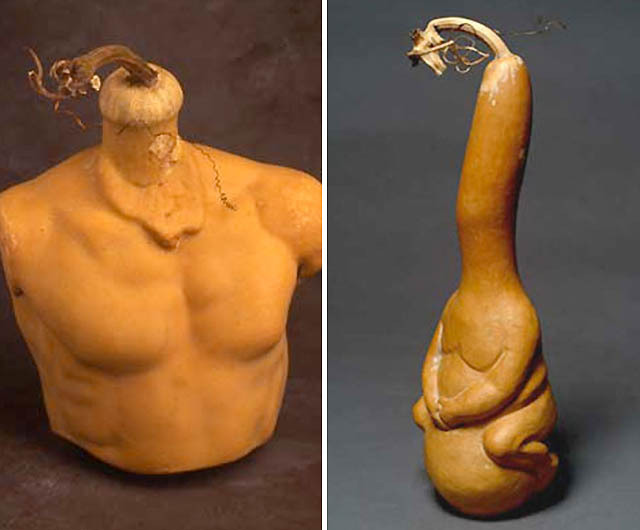 Ladd also practices the ancient art of gourd shaping. These are all gourds that were growing inside of forms. 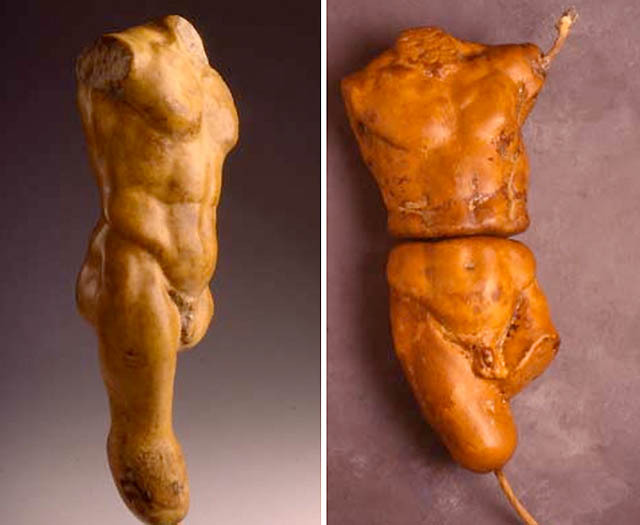 They have not been carved or altered after they were harvested. 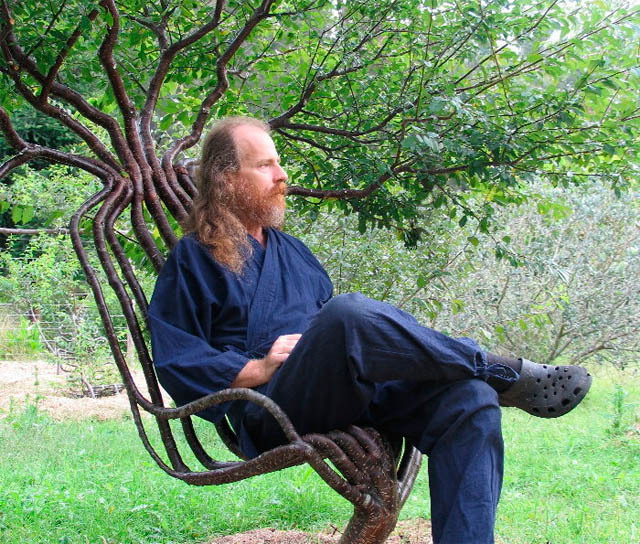 Tree grafters Peter Cook and his wife Becky Northey have developed a range of their own special tree-shaping techniques, which they call pooktre. Among the many other artists working in the form are Konstantin Kirsch, Laura Spector, and Aharon Naveh. 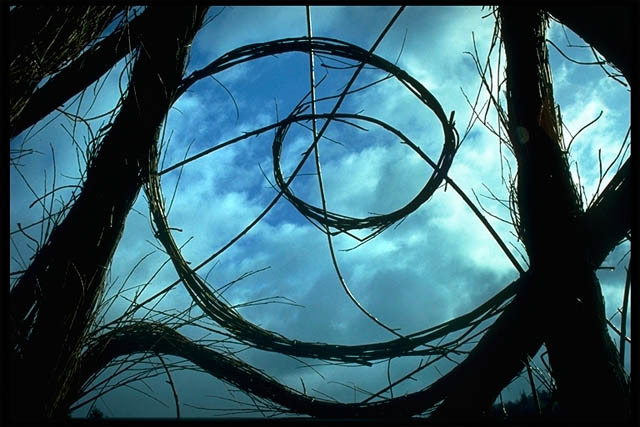 Best links on the subject and further reading: 1, 2, 3, 4, 5. Reames has a book on the subject. I don't think I've ever clicked on quite so wonderful a link before. 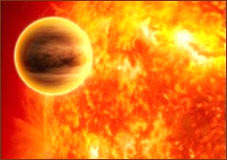 I've often thought about this kinda thing, read about it in fantasy novels... extremely excited to see it coming to life. Good show. Wow...every bit of that was incredibly interesting. Thanks for sharing that information with us! There are new building materials being introduced nowadays made with super dense formed fungus. Its apparently tons stronger than drywall, and far lighter as well. This is wonderful! 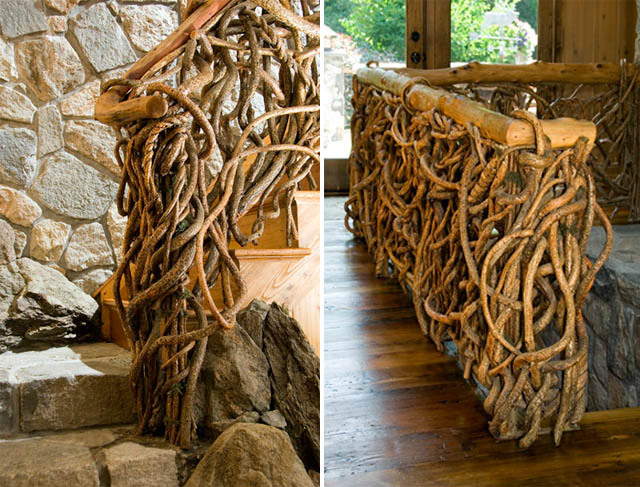 The "chair that grew" reminds me of Odysseus' marriage bed (made of a living tree, so when Penelope tells him she's moved it, he gets angry and thus proves he's really her husband). Down here in Australia, the Boab tree of the semi-arid west has a short, squat and voluminious trunk that had been used variously as a house, jail and particularly sturdy restroom. I actually grew up with a shaped tree in the backyard— my dad spent a couple of decades shaping a cave out of the lower branches of a mulberry, while the upper area has a fort-like feel, big enough for several adults (we've gotten at least eight up there at one time.) It was a great place to read. When I was going to college, my dad asked if he should remove the cave. "Dad, you are going to have grandchildren at some point!" Not to the level of these things, but it goes to show that even an amateur can come up with something lovely and appreciated. This is so fantastically beautiful. Thank you: this made my week! Fantastic presentation! Marvelous! 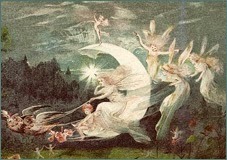 But, all that is not just fantasy of some crazy peoples. It is part of our own cultural heritage. Not only huts and shelters of reeds or twig-arks bound with lianas covered with leaves are still part of everyday life in many places of the world. In ethnology or cultural anthropology this is well known today. But archaeology has mistakenly taught us to accept only durable materials as prehistory of material culture. 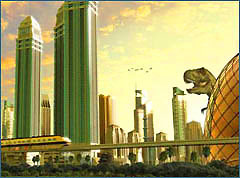 In contrast to this we can construct a "soft prehistory" getting together all the secondary sources of signs (early script in China and Mesopotamia) and symbols (life trees) and even early representations of deities (Ishtar-Inanna of Uruk) with their roots in neolithic village culture where they were important as territorial signs and nuclear aesthetic models of the local village culture. We know even that there were "Babylonian Creation myths" focused not on the universe but on the foundation of the local "cosmos" (that is the spatial organization) of an agrarian village by making a deity of reed which grew and grows in abundance in the Eufrat/Tigris region. 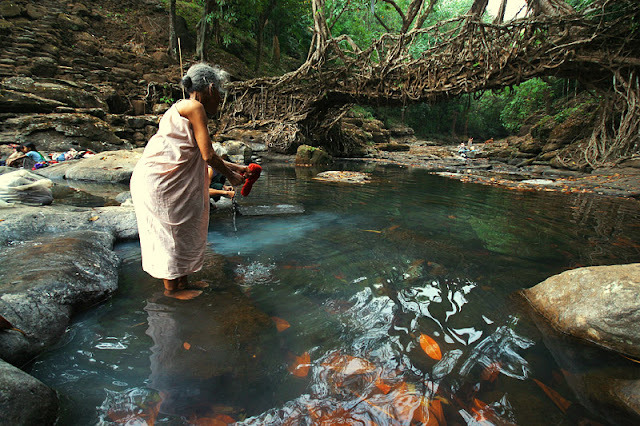 The founder becomes some sort of chief of the village. The "Marsh Arabs" are still widespread living there in reed huts and around reed mosques, but having Islam as their religion today. Paradoxically this very ancient "soft prehistory" is still vital as a sacred tradition of annual cyclic renewal of sacred Shinto-symbols in Japanese agrarian villages. 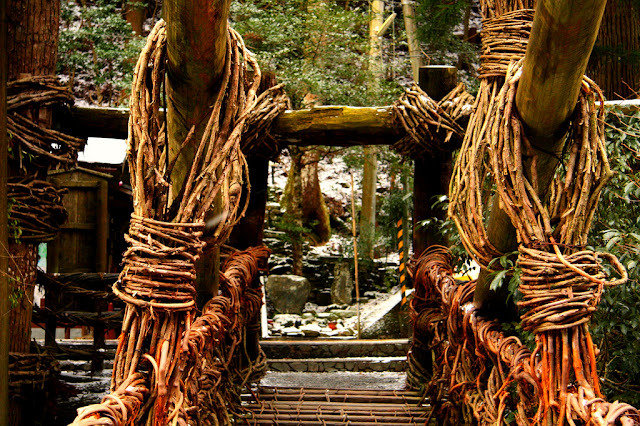 From these traditional survivals we can understand that, originally, this was not "primitive religion", but was a very complex event, an essentially aesthetic territorial demarcation system which used only one symbol in the center of the village built of reed an bamboo and using its aesthetic structure to define the village territory Yin-Yang style: "holy woods and agricultural fields". The annual renewal of the symbol had become a festival of central importance for the village. The destruction of the old one put the whole population into a crazy ecstasy for one night until the new one was rebuilt next morning. Important: early civilizations copied a lot from this nuclear territorial system of the neolithic agrarian village!